If you like Skyrim and Minecraft, sure you’d like to have a walk through the city of Solitude in Skyrim, recreated in a world of Minecraft. Solitude Map 1.3.2 project it’s still under development by the author. The city still hasn’t interior in buildings and the docks and the small town aren’t built neither…Although, it’s still spectacular. The author has developed a map like as you see, in a month and a half, working on intermittentl,y and is currently focused on finishing the field, as he says, still looks artificial. 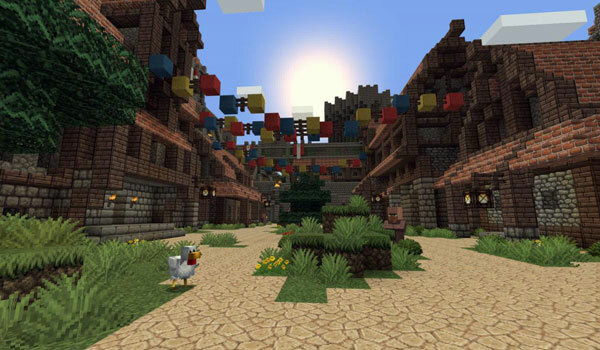 The texture pack you see in the pictures and that’s recommended to use for this map is: JohnSmith Texture Pack. 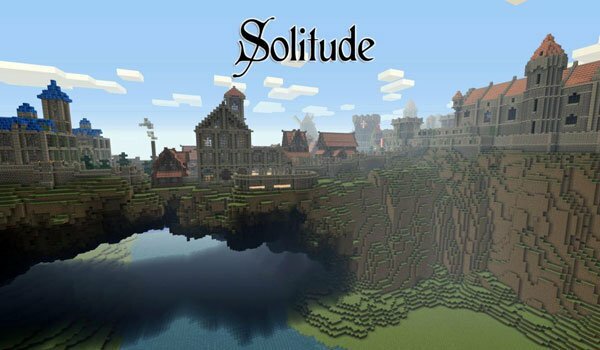 How to install Solitude Map for Minecraft 1.3.2? Paste the downloaded map into the folder called “saves”. A shop around Solitude in Minecraft!